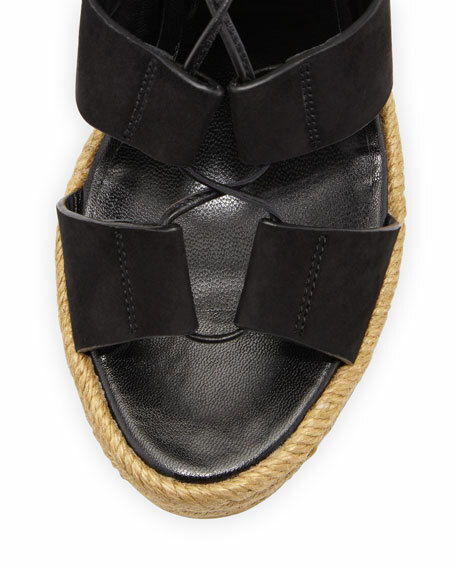 Saint Laurent calf suede sandal. 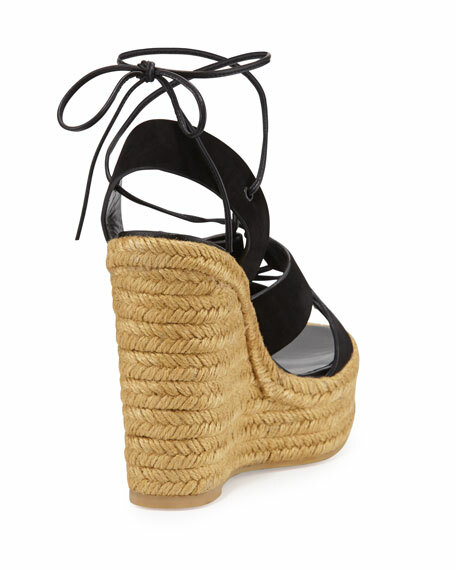 5.3" jute-wrapped wedge heel and 1.5" platform; 3.8" equiv. 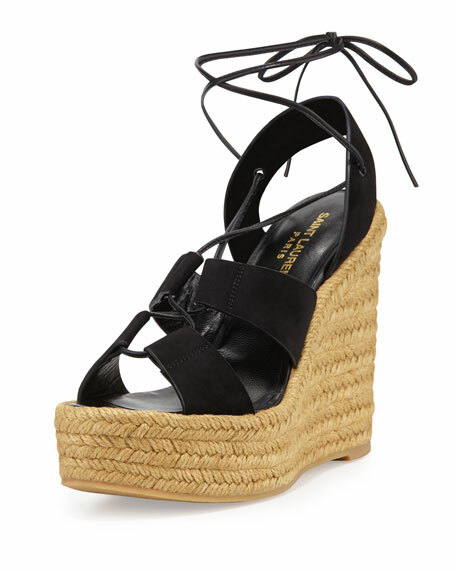 For in-store inquiries, use sku #1628221.